Good day, my loves! How's your weekend so far? Since it's a weekend, let me indulge you in a non-makeup post. Do you love eggs? I do! Be it fried (sunny side up, scrambled), poached or boiled. Heck, I even love balot! If I am craving for some easy comfort food, I will cook 2 packs of Lucky Me Instant Canton and throw in 2 boiled eggs. OMG, just writing about it makes me hungry. 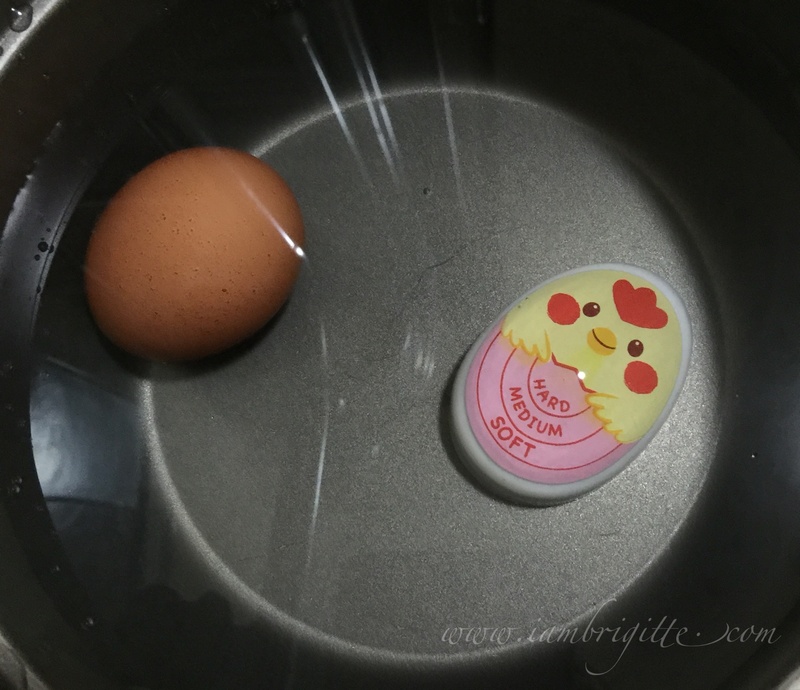 Now, when it comes to boiled eggs, I like mine to be half-cooked. You might say, what's so hard about getting medium-cooked eggs? If you can always come up with such, I salute you. 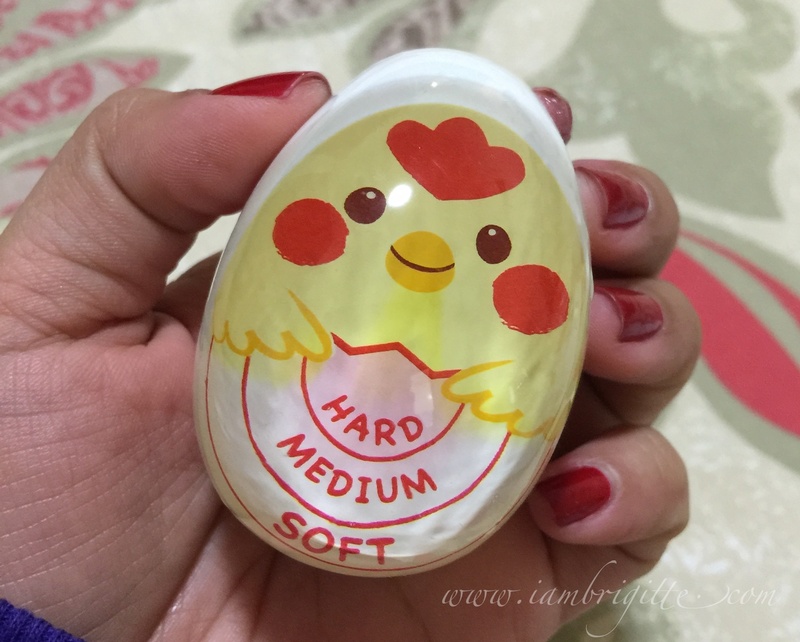 In my case, I always end up with either soft or hard-boiled eggs. I know you can time it, but I'm more of a visual kind of person. I want something that will let tell me "Hey, time to get me outta here!" 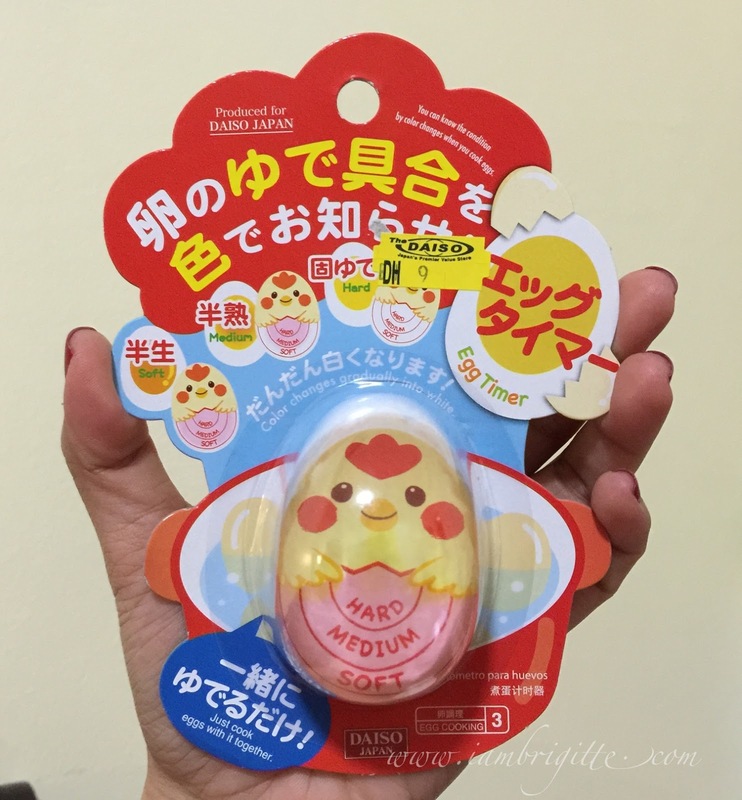 So when I came across a post of a friend on Facebook about an egg timer from Daiso, I made sure I get one the very next day. 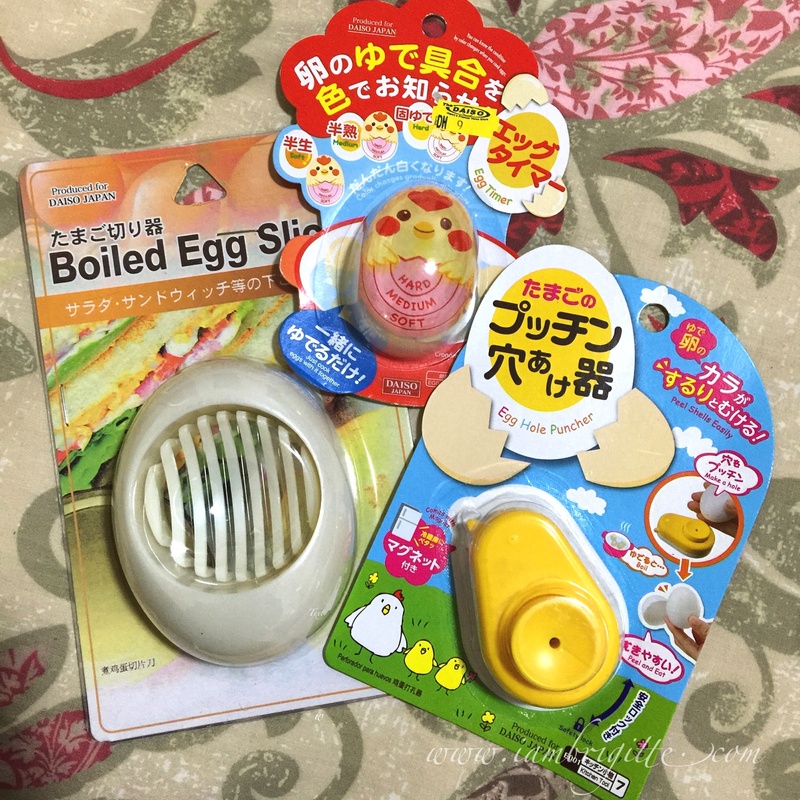 By the way, I love Daiso. Even when I was still in PH, I frequent that store. In PH, prices usually start at Php88 while here in Dubai, it's at AED7 (or 8?) Prices can be cheap, just make sure you get your money's worth. What I mean is that, make sure that you won't be able to get the same product at a lower price outside Daiso. I honestly shrieked out of excitement when I saw this. It's definitely one Eureka moment for yours truly! 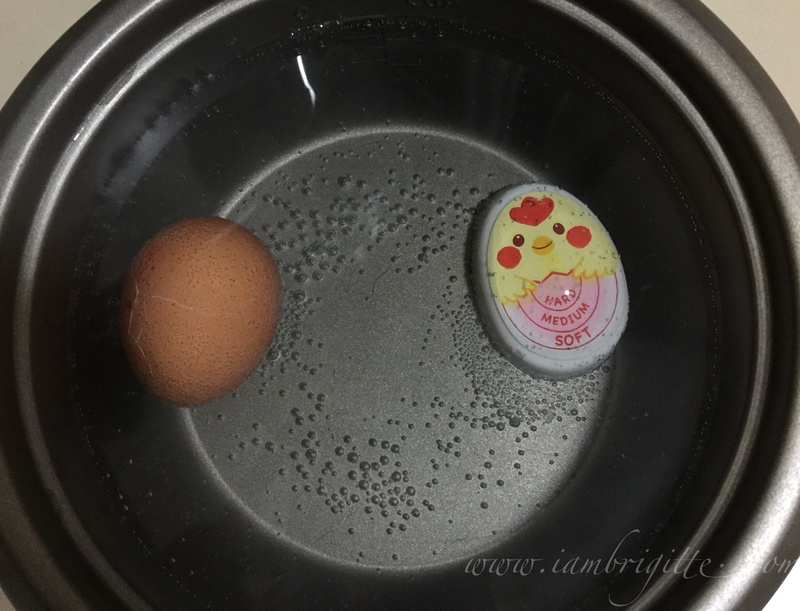 1) Just put the egg timer together with the egg/s inside a pot with water (make sure the timer and the eggs are both fully submerged). Notice that the indicators Soft, Medium and Hard are all in pink at the start. 2) Let the water boil. I want mine to be medium-boiled, or at least half-way. So when I saw the MEDIUM indicator is almost white, I took the egg out and put it in a cup of cold water. I did better on my next attempts. I waited until the MEDIUM indicator is fully white, and I got an egg with a solid white but still soft and moist yolk. 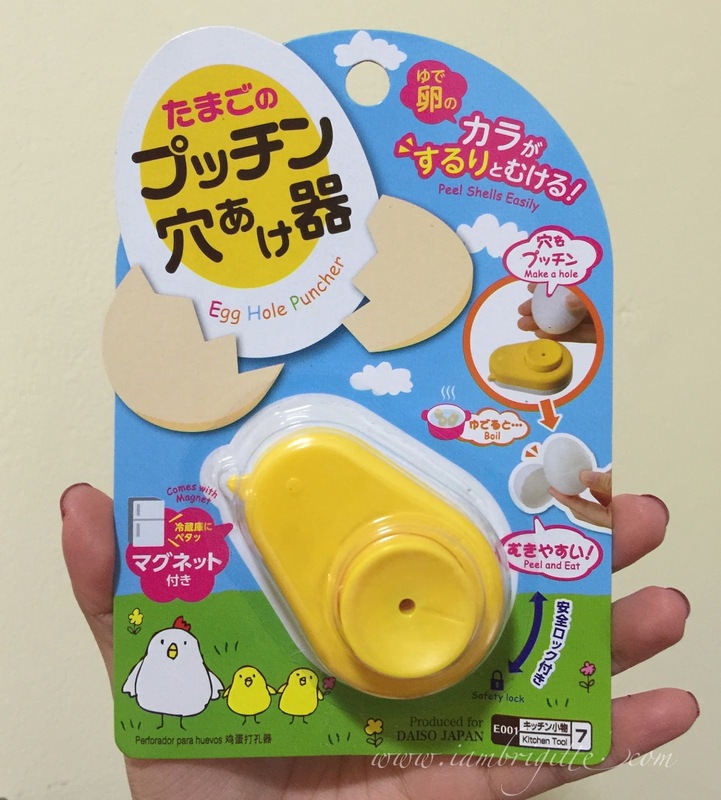 Admit it, peeling an egg can be such a pain that's why I decided to get this as well. I haven't tried it though, but I will soon and hopefully, my egg won't end up with almost the whites gone each time I peel them. 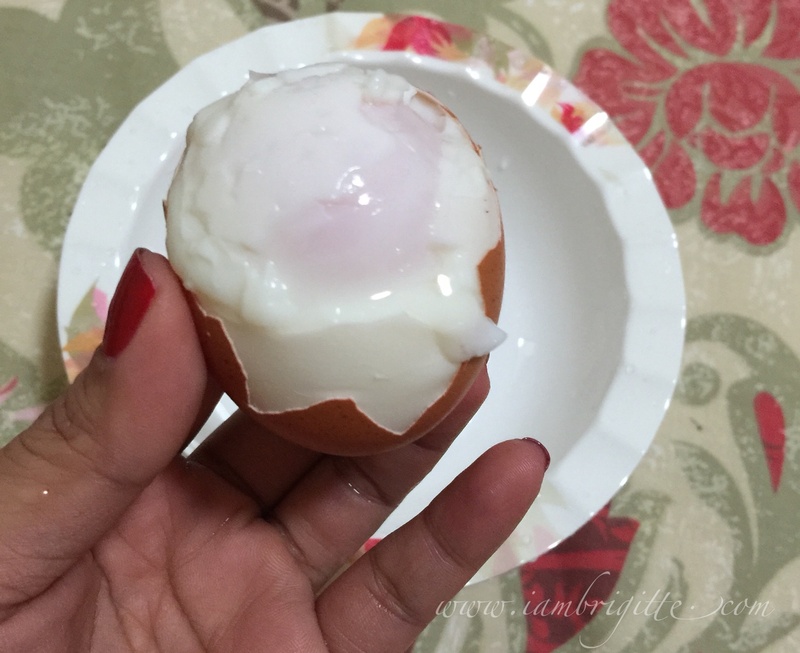 How about you, what's your technique for a perfectly boiled egg?